Leaders, also known as Downspouts, are vertical pipes that carry rainwater from the gutters to the ground, sewers, or wells. At B&B Sheet Metal we have state-of-the-art machinery that can craft leaders to your custom needs. We understand the importance of having a reliable downspout to protect your home or business, and are committed to providing the highest quality products. 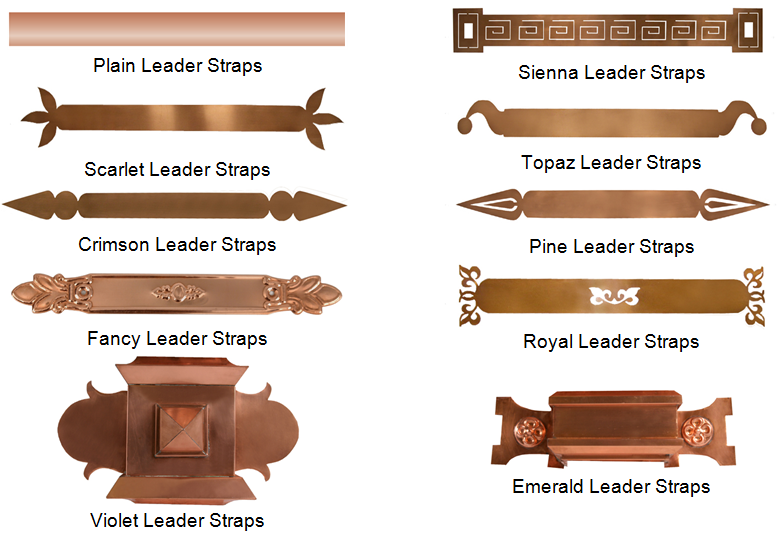 Our Plain Square Downspouts exhibit the traditional style with the extraordinary quality-assurance of the B&B Sheet Metal name. 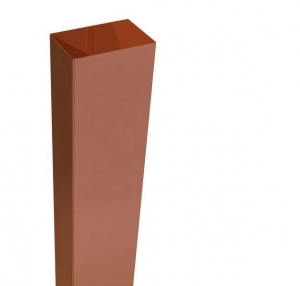 The Plain Square style boasts a traditional look, for the more reserved styled gutter system. What are the available materials and sizes? They are available in 2×3, 3×4 and 4×5 standard sizes. Custom sizes are also available since this product is hand made. 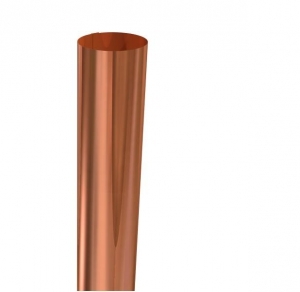 Available in .032, .040, .050 and .062 gauges that are commonly created in Kynar finishes for commercial jobs and in copper for private homes and churches. Please note that different gauges require different locks. 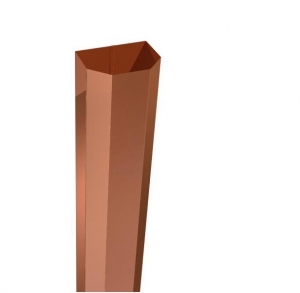 Our Plain Round Copper Downspouts are available with a seam in the back and is tapered, in order to provide a snug fit without excessive crimping on the end. A Plain Round Leader is a smooth, cylinder-shaped downspout, that enables easy passage of water flow. 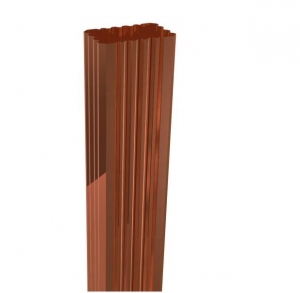 Square Corrugated Downspouts are the most popular style in the Northeast for good reason. 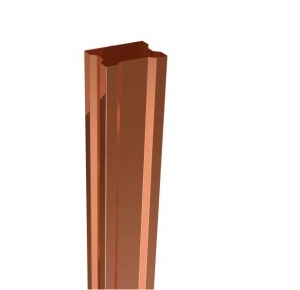 These downspouts are machine-made and are generally more cost-efficient than competing styles. We invite you to price out many different materials and test options to see how B&B can make all the difference. Give our patent-pending merchandising system a whirl; guaranteed it won’t disappoint. A Square Corrugated Leader is a square pipe. They are the most common and cost-efficient since they are machine made. Round Corrugated Downspouts are a stylish and contemporary roofing gutter design that has come into favor with many contemporary and even traditional homes alike. Our round corrugated downspouts help to accentuate the roofline and create a consistent and uniform design style for your rainwater removal system. 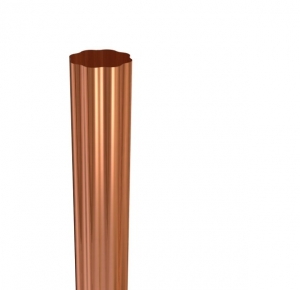 Round Corrugated Downspouts are used to complete and consist any round-styled guttering system. Available in copper, galvanized steel, stainless steel, baked enamel, and mill finish aluminum, our round corrugated styles are made of the highest quality metal material with the B&B quality assurance and commitment to unparalleled endurance even in the most rain-prone clients. The Gambler Downspout is the main pipe that runs from the guttering on the roof of the home down the side of the house and onto the floor. The Creator is an elegant style made of several choices in material all with excellent flow control and output capacity. Attached the Creator Leader Head for an superior appeal. The Gambler Downspout is the conduit of roof water, directing the water from the gutter system to a lower plane on the ground and away from the home. Without a properly functioning downspout, water can build up on the roof and leak into the basement, causing structural damage in both an immediate and a latent sense. Quintet Downspouts are made to last. Stamped with the fortitude of quality and endurance, this low maintenance choice will outlast the competition even in the most adverse climate conditions. A metal downspout made to last and go the distance. The Quintet 5 sided-style gutter system is a robust geometrically-forward design acting as an ultra-efficient first step in controlling roof runoff. The Quintet helps to remove the water from the roof far away from the home to prevent damage. Our downspouts come available in: baked enamel, galvanized steel, copper, lead coated copper, stainless steel and aluminum.